Core drill bits and dry core drill bits are indispensable tools for ceramic tilers and natural stone tilers.The use of extremely hard materials such as porcelain on the one hand demands top-quality core drill bits. 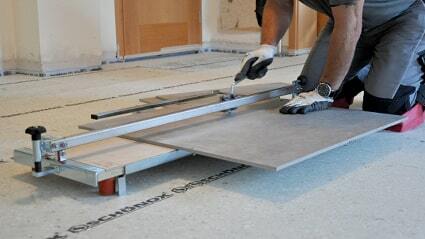 Tilers and installers use core drill bits to drill holes for water connections, water drains, plug sockets as well as for shower partitions and other sanitary installations. 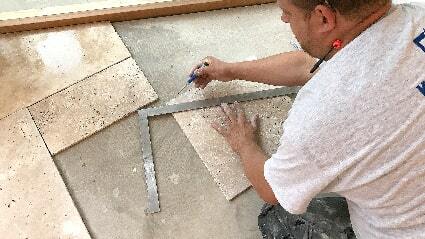 Perfectly drilled holes are a first-class recommendation for an excellent work. 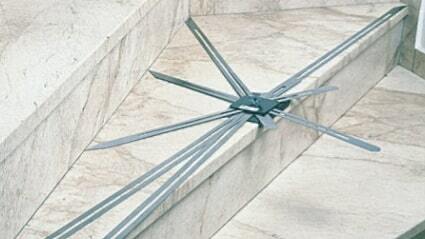 Using low-grade core drill bits might increase the risk of damaging tiles. 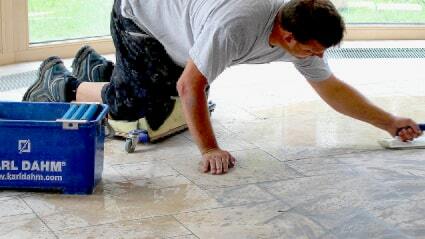 This may cause tremendous consequential costs – especially with large-format tiles. Core drill bits are divided into two main groups: the group comprising carbide-tipped core drill bits and diamond core drill bits. In turn, diamond core drill bits are sub-divided into wet core drills and dry core drills. Another distinctive feature is the type of build. Many people use hollow drills beside solid carbide drill bits or blind bore drills. Core drill bits and dry core drill bits are used together with different propulsion equipments – the most important thing is which tool fitting is needed and how many revolutions per minute are necessary. There are different kinds of tool fittings: there are core drill bits with an M14 thread, others with cone thread or screw thread ½”. Carbide drill bits (Dahm no. 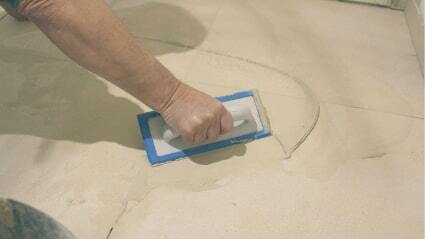 10322) are only used when working smoother materials such as masonry, smooth brick, plasterboards or stone ware. Nowadays you use diamond core drill bits where formerly carbide-tipped circular cutters did the job. Diamond wet drills can either be fixed to a drill stand or they can be used together with a drilling gauge (flushing connector). 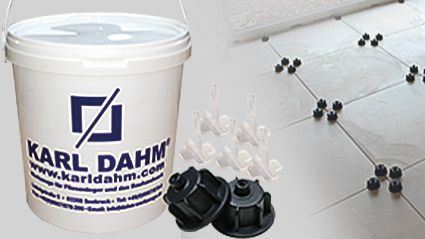 The Dahm drill stand is optimally suited for quick and precise drilling.The material is firmly fixed and the water pump supplies sufficient water for best cooling. Especially thin-wall core drill bits with high drilling speed and high cutting quality are applied (Dahm no. 50190/50100). The core drills can of course also be used with a drilling machine – in this case you should make use of a centre-drilling device (Dahm no. 50320). For free-hand drilling Karl Dahm offers several systems: the Karl Dahm drilling set (no. 55310) respectively the water pressure container with a flushing connector (no. 50316). For security reasons you should always use a safety switch (no. 21134). Compared to dry drills, wet drills have a much longer lifetime. 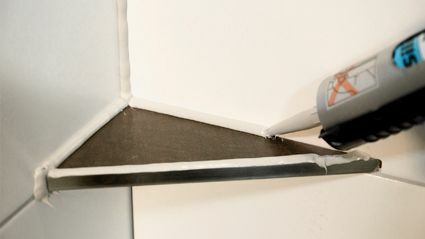 Another advantage of wet drills, especially when working in inhabited houses, is the fact that less dust is produced. 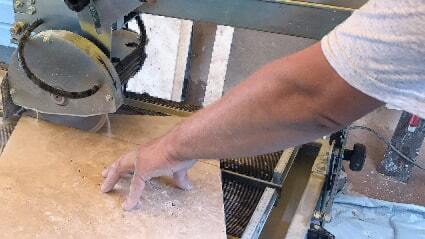 However, during the last years ceramic tilers also use more and more dry drill bits as drilling is easier and needs less time and effort. Dry drills are fixed to an angle grinder, put onto the material in a sloped position and drilled into the material in swaying movements. Never put diamond dry drill bits planarly onto the material! 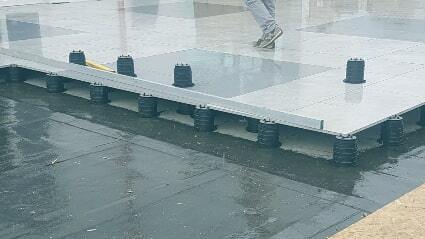 This would affect the cooling and would reduce the durability. Dry drills with small diameters (6-14mm) have addtionally paraffin wax in their shaft. The wax fluidizes during drilling and arranges for better cooling. In general you can say: the bigger the diameter of a dry drill bit the better is the cooling and the durability. Correct handling has a direct effect on the lifetime of the dry drills. Diamond dry drill bits are used at about 10000 rpm with moderate pressure. Karl Dahm offers sets (Dahm no. 50215) or high-class diamond dry core drills from 6 to 100mm. 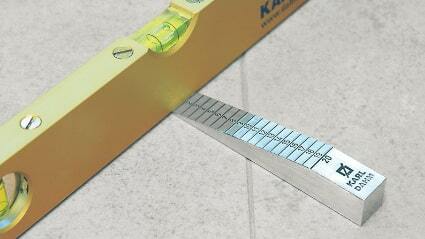 The smaller diameters 6-12mm are also available with a shaft intake for use with a cordless screwdriver. No matter if you decide for dry drilling or wet drilling - the decisive point is the quality of the drills. Only high-quality core drill bits allow for a good durability and a good cutting quality. Like this both, craftsmen and customers are satisfied. You have got questions concerning core drill bits? Almost 100% of the tools we offer are in stock and promptly available.